To spice up the looks of the plain black helmet. So, artists here is your chance tosubmit your ideas. We are letting the general public choose what design to paint on the helmet. Dupont is helping out by supplying the paint that you need for the design. What a great way to get your name out there in the industry. Calling for submission of all designs by designers. The drawing will be held at the end of the year. Good luck to all who partakes in this endeavor. Lens Speed - 1/10,000 sec. Viewing Area - 5.03 sq. in. Miller Electric Welding Helmet Giveaway! We want to share with our viewers what you lady welders are up to on your various projects. Those items with an * need to be completed on the form. We'll contact you by email when we receive your entry. If you don't receive an email please contact us by email to varify that we received your form for the Welding Helmet Give Away! APPLETON, Wis. — June 26, 2012 — Miller Electric Mfg. 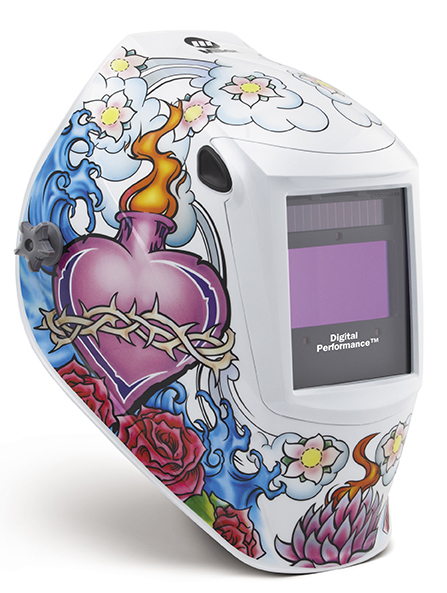 Co. introduces new digital controls and new headgear for its Arc Armor® Digital Elite™, Digital Performance™ and Digital Pro-Hobby™ Series auto-darkening welding helmets. The all-new digital controls make it easier for the welder to adjust shade, delay and sensitivity — even when wearing gloves — compared to previous digital and analog designs. The Digital Performance and Digital Pro-Hobby product lines replace previous product designs that only featured analog controls. The new headgear is designed to increase comfort, is substantially easier to adjust to personal preferences than previous models and has been tested to withstand the rigors of daily use. 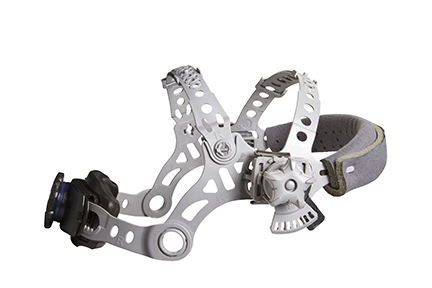 The headgear conforms to the user's head and offers more flexibility with six points of adjustment. The integrated comfort cushion mounted on the back of the headgear further ensures a secure and sturdy fit. 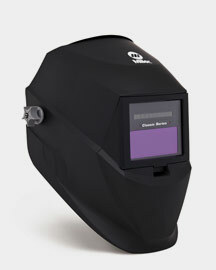 "The updates to our full Arc Armor line of digital auto-darkening welding helmets makes settings and adjustments much more intuitive, with easy manipulation and clear markings on the control panel," said Eric Sommers, product manager, Miller. "The updated headgear is more flexible, more durable and the welder is more comfortable for longer periods of time. Whether welding all day for work or on the weekends in your home garage, the new upgrades ensure maximum comfort, productivity and performance." The updates also include the introduction of two new female-inspired graphic designs: Fury™ and Illusion™. These are the industry's first large-window professional-grade helmets with graphics for women. "Personal identity is very important to welders," said Sommers. "While we see women wearing our current graphic designs, we've heard many requests to create designs with more of a feminine appeal. These two new designs are our first steps in that direction." The full line of Arc Armor digital helmets comes with a new three-year warranty that matches the longest warranty in the industry for a welding helmet. "Welders can take comfort in knowing the helmets will provide long lasting performance in addition to enhanced functionality and comfort," said Sommers. Digital Elite Series: These helmets feature four operating modes: weld, cut, grind and x-mode. X-mode eliminates sunlight interference and low-amperage lens opening caused by obstructed views. The helmet features a nine-square-inch viewing area and four independent arc sensors for maximum viewing and dependable lens response. An auto-on/auto-off feature triggers the lens immediately upon arc strikes, ensuring protection and saving batteries when not in use. Digital Elite Series helmets offer variable shades #8-13 for welding (including in x-mode), #5-8 for cutting, and light state #3.5 for grinding. TIG rating: 5 amps. Digital Performance Series: Featuring three arc sensors and three modes (weld, cut and grind), the Digital Performance Series offers a viewing area of 7.22 square inches. Digital Performance Series helmets also feature auto-on/auto-off power control, and provide variable shades #8-13 and light state #3.5. TIG rating: 5 amps. Digital Pro-Hobby: Featuring two arc sensors and two modes (weld and grind), the Pro-Hobby Series offers a viewing area of 6.06 square inches with variable shades #8-12 and light state #3.5. TIG rating: 20 amps. Miller Electric Mfg. Co., headquartered in Appleton, Wis., is a leading worldwide manufacturer of Miller brand arc welding products and is a wholly owned subsidiary of Illinois Tool Works Inc. (NYSE: ITW). For more information, visit Miller's website at www.MillerWelds.com, call 1-800-4-A-Miller (800-426-4553), email info@millerwelds.com, fax 877-327-8132, or write to Miller Electric Mfg. Co., P.O. Box 100, Lithonia, GA 30058.